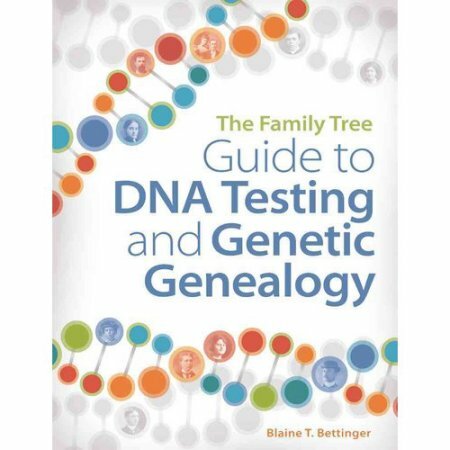 There have been several books written on genetic genealogy since 2014, and the most current is Blaine Bettinger’s Guide to DNA Testing and Genetic Genealogy published by Family Tree Books, Cincinnati, Ohio. 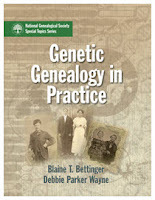 He is also the co-author with Debbie Parker Wayne of Genetic Genealogy in Practice, published by the National Genealogical Society, Arlington, Virginia. 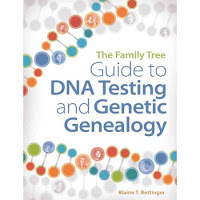 Guide to DNA Testing and Genetic Genealogy covers the basics of genetic genealogy, misconceptions, ethics, the four major tests, third-party tolls for autosomal DNA, ethnicity, analyzing complex issues using DNA, help for adoptees along with the future of genetic genealogy and a glossary. The appendices include a comparison guide, research forms and various resources such as books, blogs, forums and mailing lists. The context is easily understood, and the added color which can add greatly to the cost of any book is most appealing to the eye. This book is a must for your library. 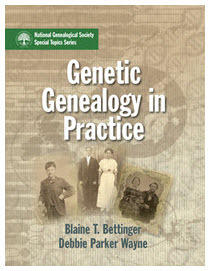 Genetic Genealogy in Practice is the first known workbook for genetic genealogists. This is an exciting new concept for this field and should be quite helpful. Each chapter presents a topic and ends with exercise questions to help you check your understanding of the material. The book covers basic genetics, genetic genealogy standards and ethics, applications for all four of the major tests and how to use DNA testing for a family study and to integrate DNA evidence in a written conclusion. Of course the answers to the exercises are in the appendix along with a glossary, reading list and various charts. I recommend reading a variety of books on genetic genealogy as each author delivers the information in a slightly different way, and in doing so, you may find the method that helps you learn best.